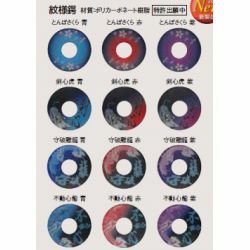 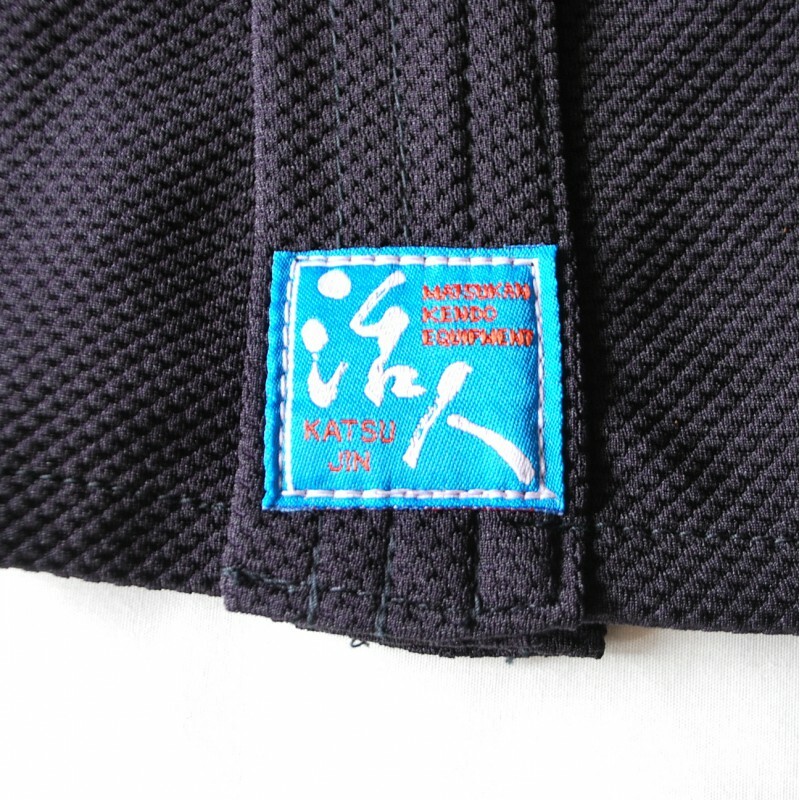 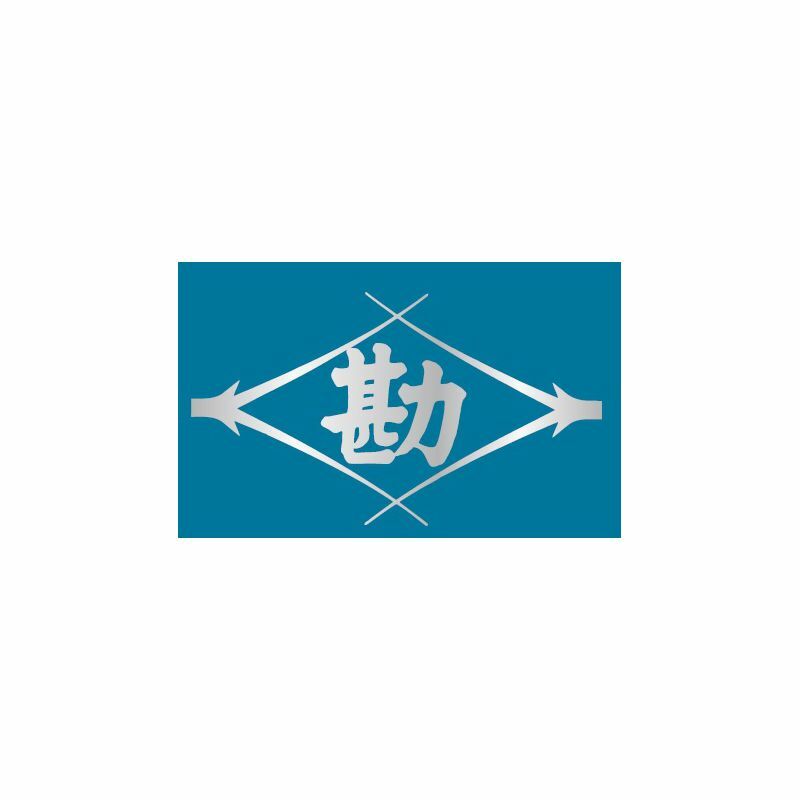 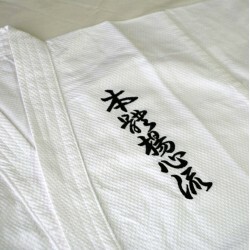 This Katsujin series is for the summer, dry quickly, high bezathability and using deodorant thread to avoid bad smell. 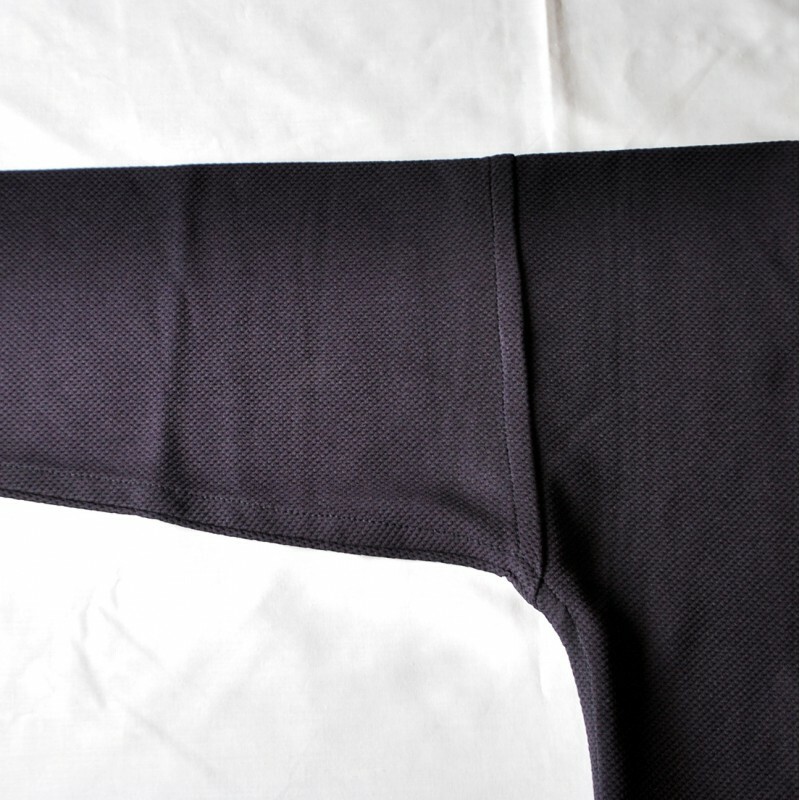 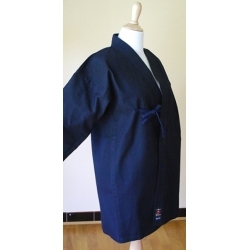 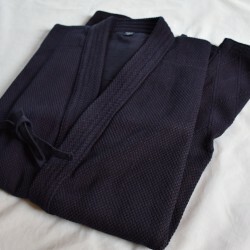 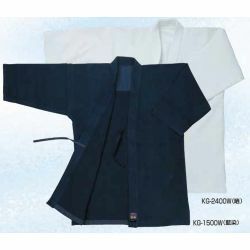 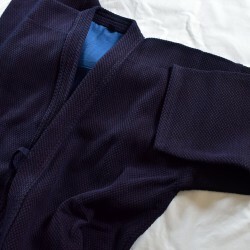 This is modern kendo gi to avoid almost all traditional problems such as unconfort with wet dogi, bad semell, sticking the dogi to your skins which gives you some obstacles to strike MEN, for example. 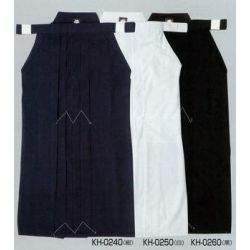 Katsujin series' concept is to practice kendo with the maxmum of confort under the hot conditions. 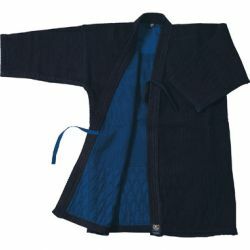 You can use especially for the summer and even spring and fall when it is not cold. 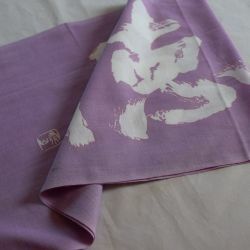 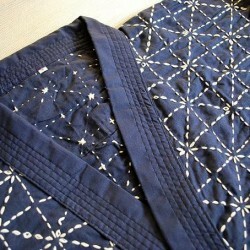 Even in summer, this textile is pleasant to touch. 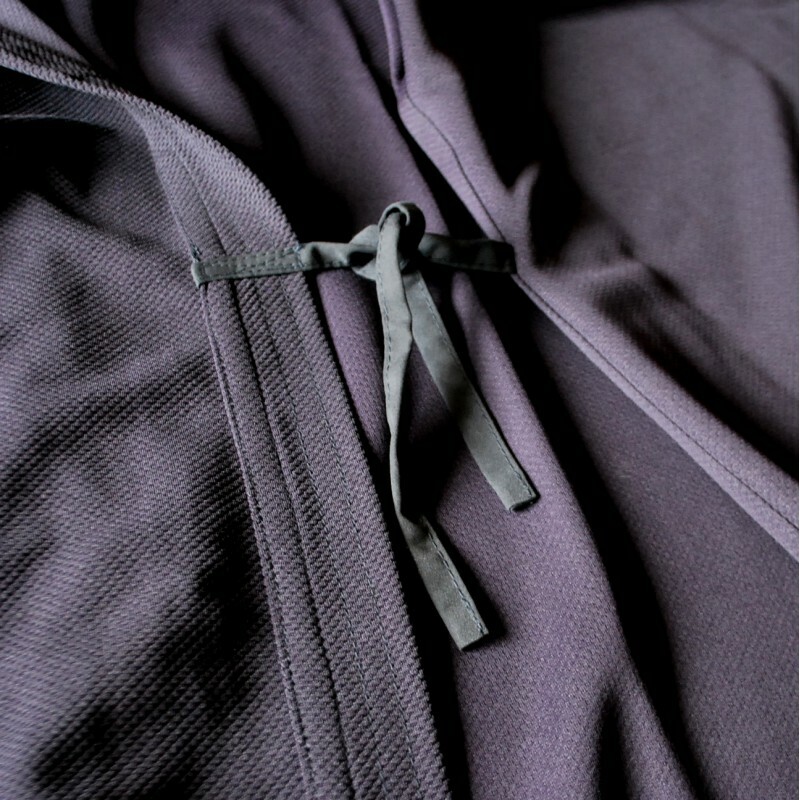 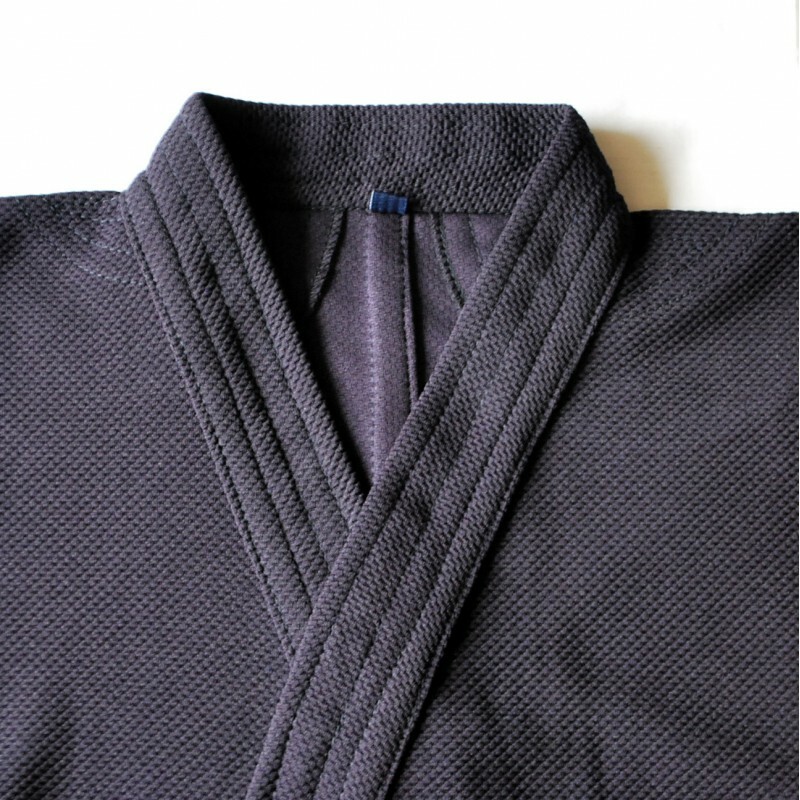 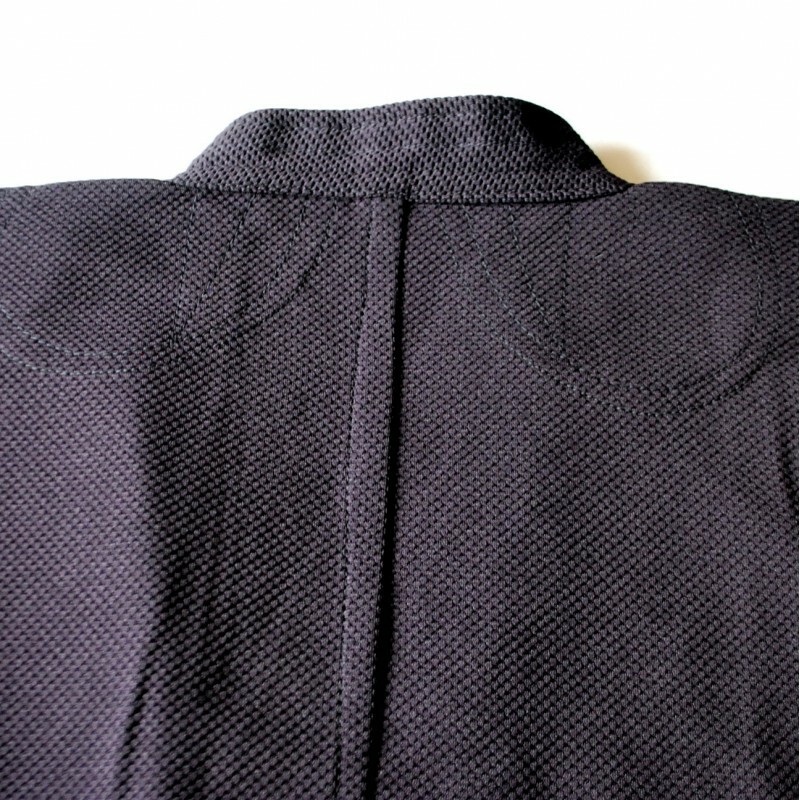 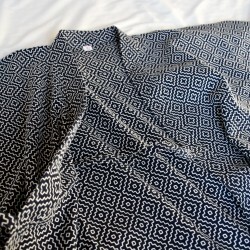 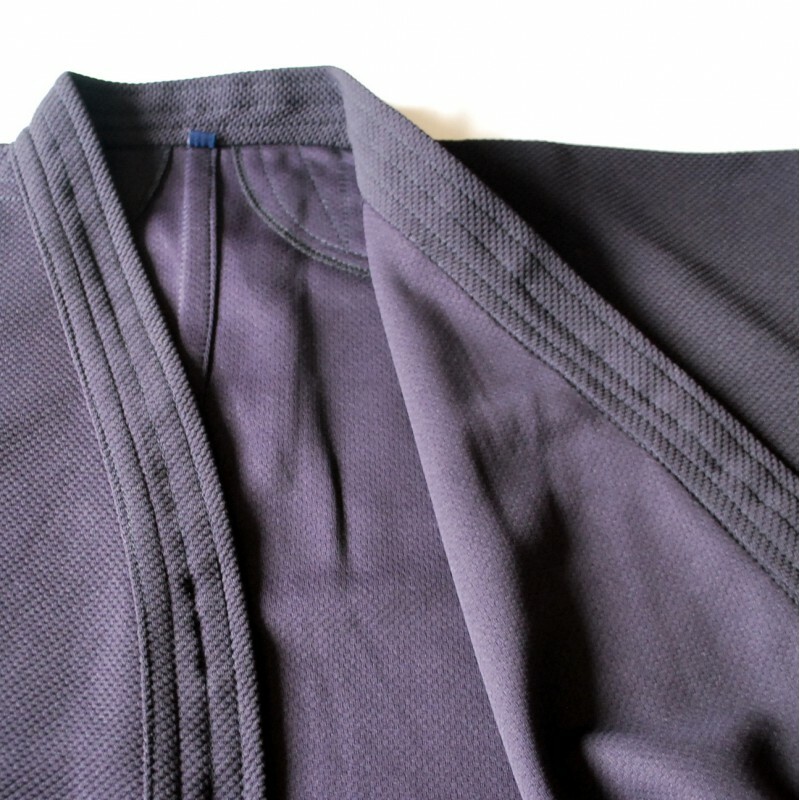 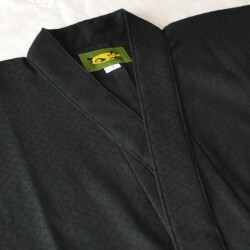 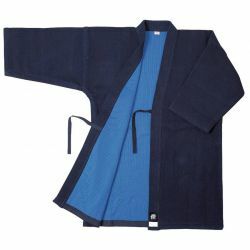 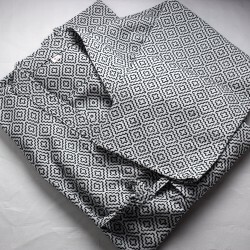 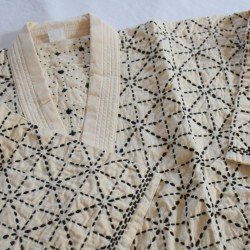 This textile knit slope, this DOGI was sewn with a thread GUNZE "SUITORU" (a wire absorb odors). 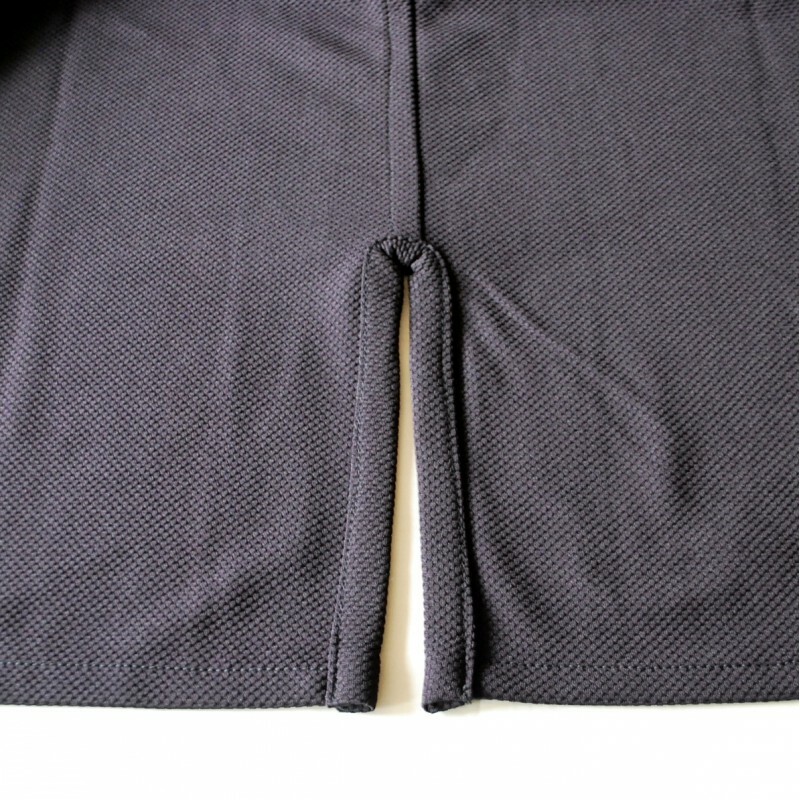 It dried quickly and absorb moisture. 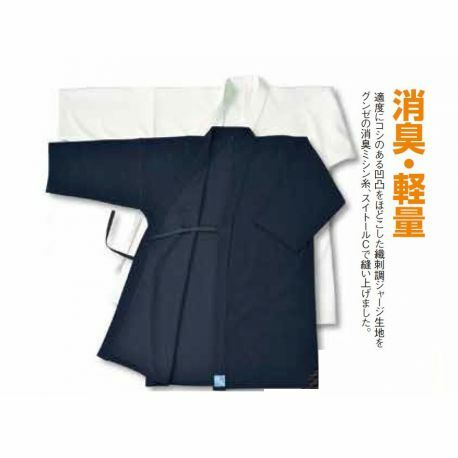 This fabric is Japanese technology. 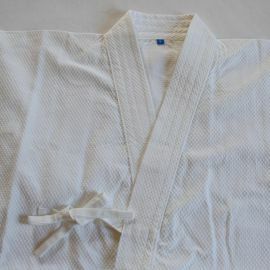 It is matt polyester (it is not glossy) as cotton. 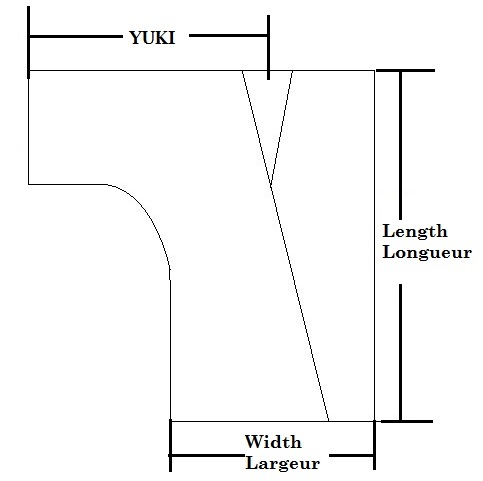 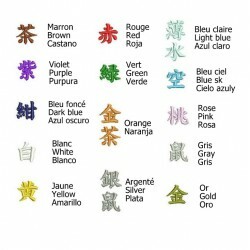 **YUKI : From the middle (center) of the neck to the cuff or the edge of the sleeve.